Public Land Solutions (PLS) engages gateway community businesses in public land policy. These businesses include retailers, outfitters, manufacturers, hotel and restaurant owners, along with other industries that depend on tourism and outdoor recreation opportunities provided by all types of public lands. PLS provides information and analysis to network subscribers regarding public land proposals and issues that may affect the outdoor industry within their region. PLS also creates opportunities for businesses to shape and influence public land management. These include conversations with local, county, state, and federal officials through letters, position statements, and meetings. These opportunities for engagement on public lands issues allow local businesses to protect their economic interests as they relate to public land management. The Network is not an association and participating businesses are not required to speak with one voice on any issue. Rather, the Network allows each business to engage on specific issues and initiatives on a case by case basis. PLS will contact Network members when public land issues come up, provide a succinct analysis, and offer options for business participation. A unique feature of our network model is that we do not speak on behalf of individual businesses. It is not an association of like-minded businesses, but rather a service that facilitates business involvement on public land issues. This distinguishes the organization from other business groups and associations who are restricted in their issue engagement because of their diverse membership (advocacy is limited by the need to include only like-minded business). Thus, our business network includes diverse businesses from all political persuasions that choose to speak on an issue-by-issue basis. It is an opt-in model that allows for diversity: on some issues large numbers of businesses may choose to join a letter or press release, while on other issues perhaps only a few businesses will attend a meeting or sign a statement. Either way, elected officials at all levels take special note when the job creating and tax-paying component of their constituency speaks. 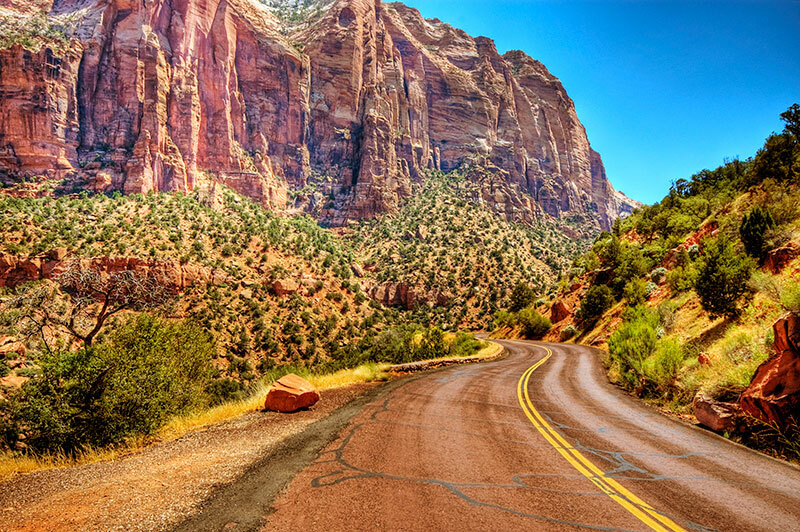 In March of 2017, Public Land Solutions worked with over 25 local and regional businesses and sent a letter to the Bureau of Land Management St. George Field Office opposing a plan to sell three oil and gas leases near to Zion National Park. The businesses join a chorus of concern for the leases. Washington County, the City of Springdale, and over 40,000 citizens have also voiced concerns for the proposed lease sale. The businesses we organized ranged from outfitters to restauranteurs to local non profits and were able to unite for the common goal of protecting their regional recreational assets.